Even 5-7 years ago, people liked faces that looked like they had a lot of work done, that is, faces that had very artificial, Caucasian features (of course, aesthetic standards differ individually). Currently, faces with drastically enhanced features are favored in China as they once were popular in Korea. 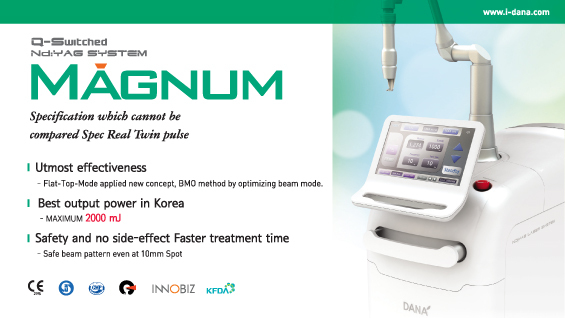 On the other hand, Korean patients are now asking for subtle and natural improvements and elegant outlines. To create a natural-looking outcome with a subtle overall improvement, Three Divide Concepts and Three S-line Concepts (3DC & 3SC) combination treatment can be used. This combination approach addresses multiple areas simultaneously, correcting the overall facial outline and is superior to using a single treatment. 3DC & 3SC is a basic design concept and refers to the combination treatment of three divide concepts and three S-line concepts. First, we need to establish the standard for 3DC. Starting from each pupil, draw two bilateral straight lines from 1cm lateral to supraorbital foramen (a) to pass the infraorbital foramen (b) and the center of the buccal area and to reach the mental foramen (c) (Image 1). 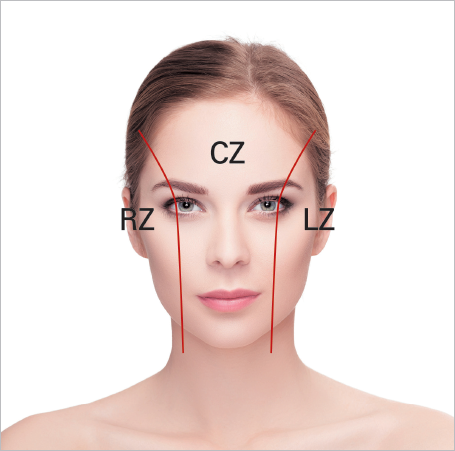 The lateral side of the straight line on the left side is called Left Zone (LZ), the middle part between two lines is called Central Zone (CZ), and the lateral side of the right line is called Right Zone (RZ) (Image 2). The most basic concept is to narrow, tighten and reduce LZ and RZ (vector reducing procedure) and to increase volume and convexity in CZ (vector increasing procedure). The specific types of the combination treatments will follow. First, if the nasion is heightened excessively in the 1st S during a dermal filler rhinoplasty, it can lead to unnatural appearance or a very dull outline of the nose. To create a more sophisticated outline, lower the nasion but increase the convexity of the columellar point (origin of 2nd S) and make the subnasale at the center of 2nd S concave. Additionally, major blood vessels and nerves pass this area and great caution is needed in performing treatments here (as this article focuses on designing, I will not go into the details of safety tips).